A classic from Dr. Seuss, this comical story focuses on an unnamed character who is being coaxed by Sam-I-am to try a new dish. Several attempts are made in different places and with bizarre, nevertheless funny companions such as a goat and a fox. Sam-I-am is eventually successful in making his friend try a sample of green eggs and ham. 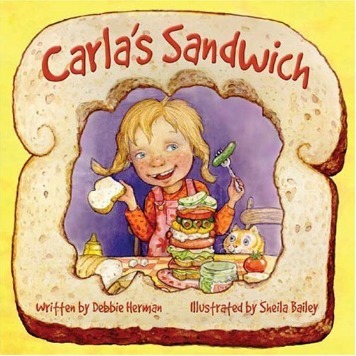 While the illustrations, characters and rhythmic flow of the book will make kids laugh, the book also sends out an important message to have an open mind and not be afraid to experiment with new foods. Ask your child what other green foods he knows and if he likes them or would be willing to try them. On a trip to buy produce, ask your child if he would like to try any new fruit or vegetable that he might not have tasted before. Involve your child in making green eggs with some green food coloring. Then serve it with ham. 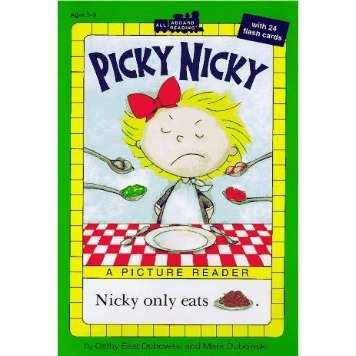 If your child is picky about a food item, remind him of this story and the character who ended up liking the dish upon trying it. Once he tries a new food, inform your child about the benefits it has for his body. 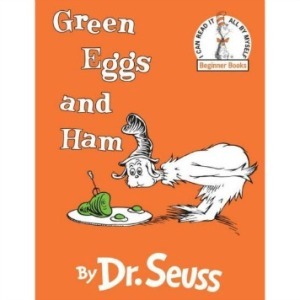 Green Eggs and Ham by Dr. Seuss. Random House Inc. New York: 1960. Navnidhee has a double master's degree in food and nutrition. 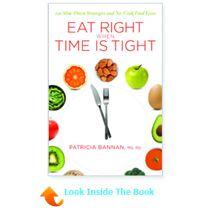 She writers for publications such as Vegetarian Journal.